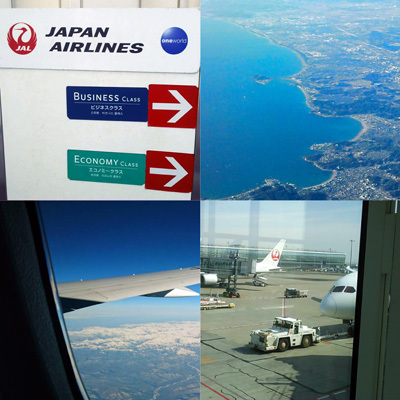 I often use JAL, and I am always satisfied with my trips with them. They're punctual, polite, and professional, and I have been able to enjoy all the flights I have taken with them until now. The seats have always been comfortable, and the food has always been good. My trip got off to a good start in the heart of Shinjuku. There is a magnificent view of the city from the Tokyo Metropolitan Government Building Observatories when the weather is good. I also found a little shop there that introduced me to the different regions of Japan. I would not have discovered such a wonderful restaurant had I not come on this trip. Their interior was traditional, sophisticated and quiet. The staff also wore traditional clothing, and the food was fresh and well presented. 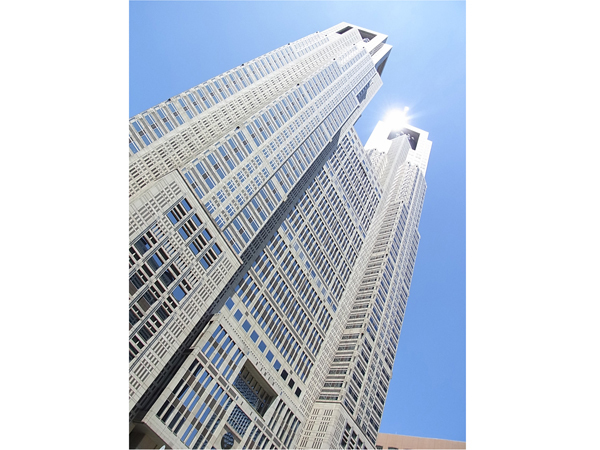 The Tokyo Metropolitan Government Building was constructed in 1990 by Kenzo Tange. Its two towers are reminiscent of Notre Dame Cathedral. 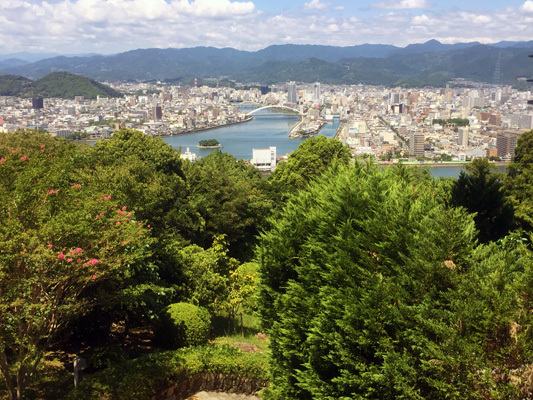 The west tower has an observation deck, and on fine days you can see Mt. 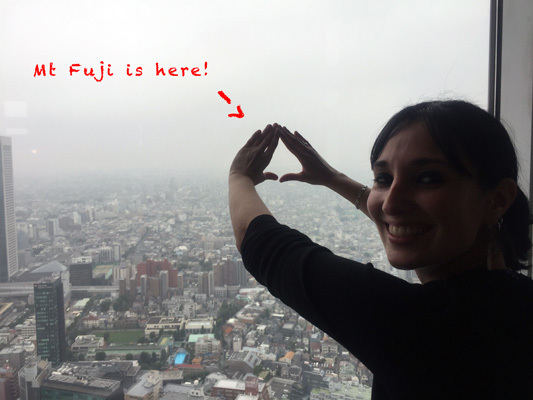 Fuji (visible through the telescope provided) and a 360-degree panorama of Tokyo and its surroundings. 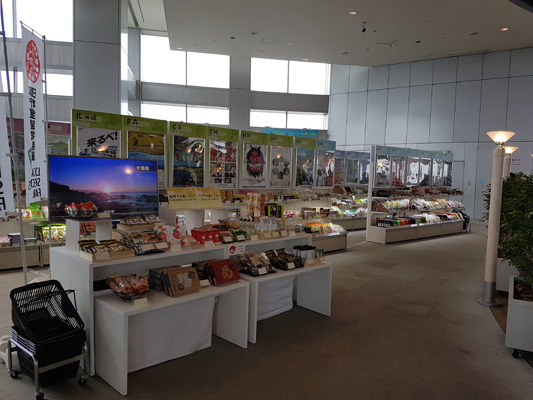 Plus, when I went, in addition to the normal souvenir store there, which has various goods, there were booths from each of the 47 prefectures of Japan, selling their respective specialty products. 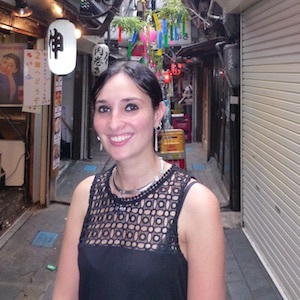 Kabukicho, located north of Shinjuku Station, is mainly known as an area active at night. 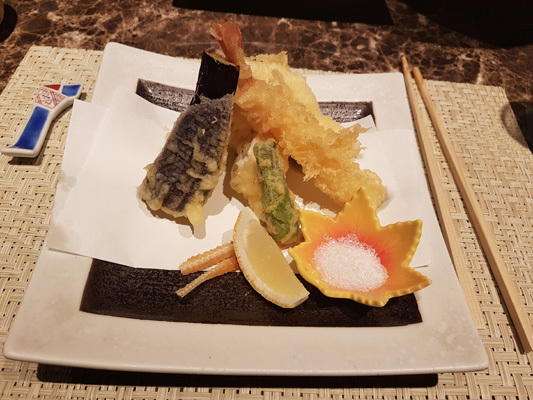 However, there are lots of places where you can find tasty lunches during the day, such as Gensai Ichijo, where you can eat kaiseki ryori (a refined style of cooking with origins in the tea ceremony). The shop itself is in the basement of a building, but the lovely interior design means you don't really notice the lack of windows. 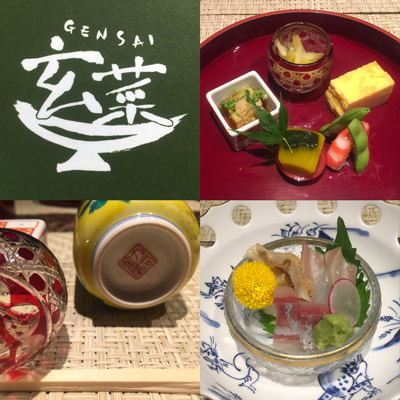 The deliciously flavored food came arranged on Kutani porcelain, which matched the food well, and high-quality Edo-kiriko (glassware). Ryogoku is an area with iconic structures of Japanese culture. I had visited before to see training for sumo wrestling, but this time I visited the Edo-Tokyo Museum. The Former Yasuda Garden is a short walk of a few minutes from the Kokugikan, a stadium famous for sumo wresting. 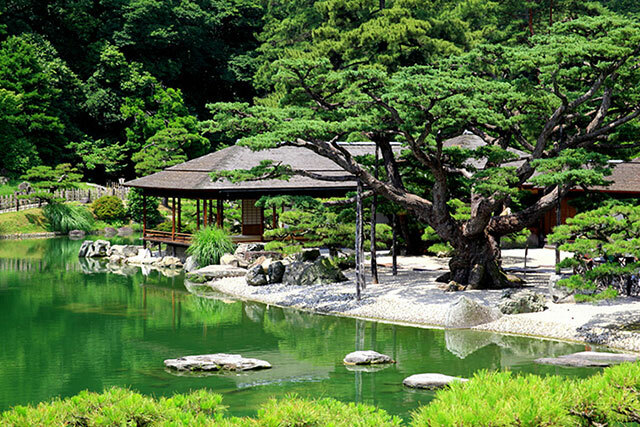 It is said that the Garden was created around 300 years ago. It is small, but worth dropping in for a stroll. The area near the sumo stadium has a modern feel. 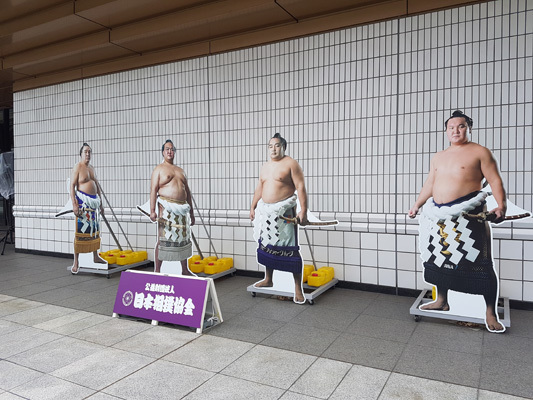 You can also visit the small museum dedicated to sumo wrestling and wrestlers, based on the culture of this national sport with a 1000-year history. Entry to the museum is free. I was able to discover the history of the change from Edo to Tokyo in this museum, and learn about landmark events during this period. 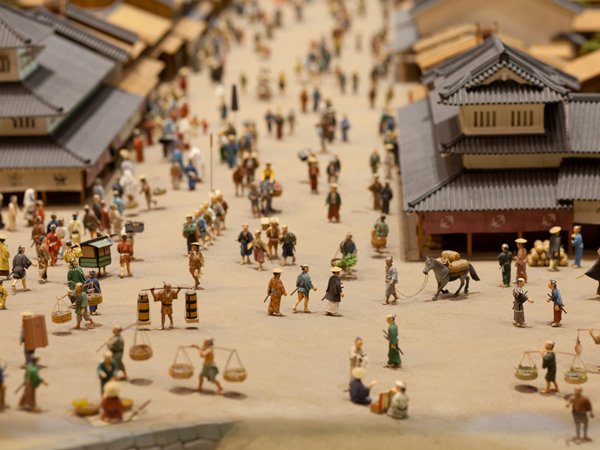 The Edo-Tokyo Museum has exhibits showing what Tokyo was like up until around the Meiji Period. 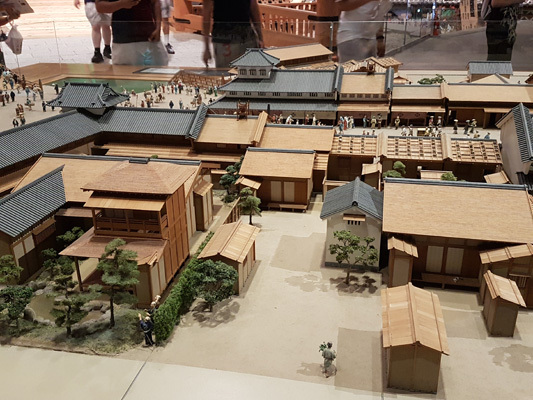 There are exhibits on the castle in Edo, the residences of the samurai, and the rich culture of the townspeople etc. 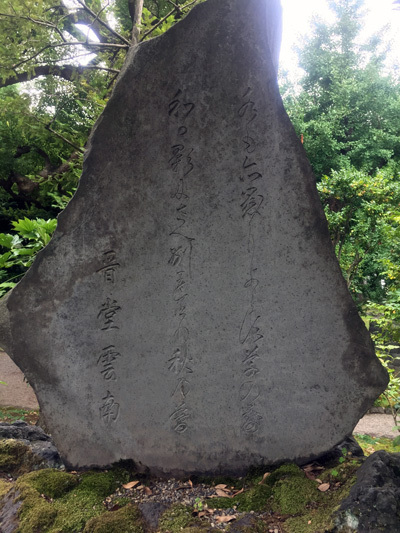 There are also displays on the modern capital, which gradually entered an age of militarism, the post-war recovery, and the first Olympics in Japan. 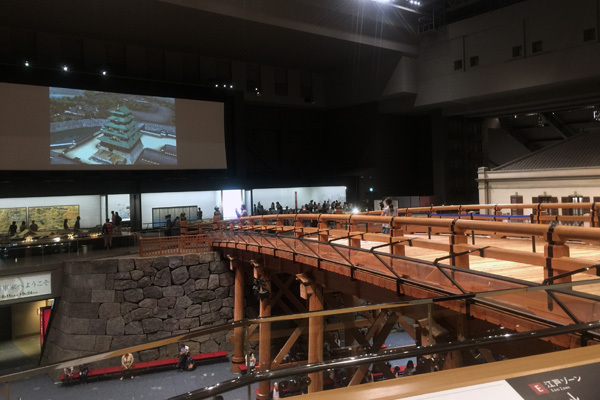 There is a model of Nihombashi, a famous bridge, in the center of the main hall, and on either side of the bridge are models of buildings in Tokyo. 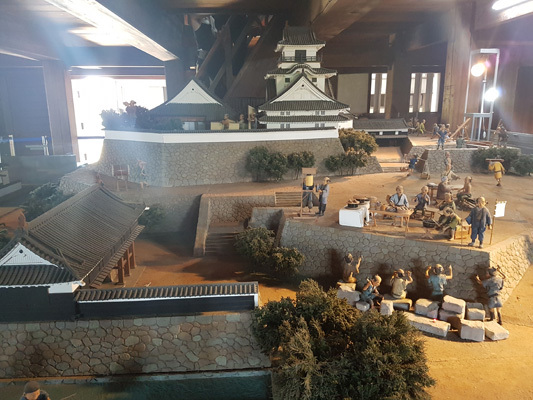 The exhibits are made up of various treasures and ancient artifacts, dioramas of the city, and several attractions where you can touch period pieces. 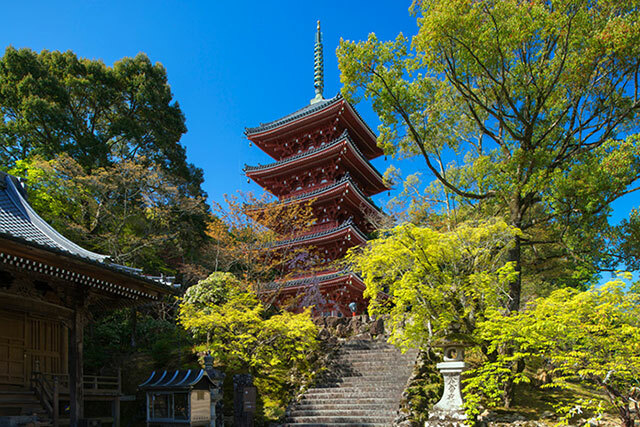 The tours are mainly in English or Japanese, but audio guides are supplied in other languages. The museum is closed for renovation until the end of March 2018. I really liked Tsukishima! 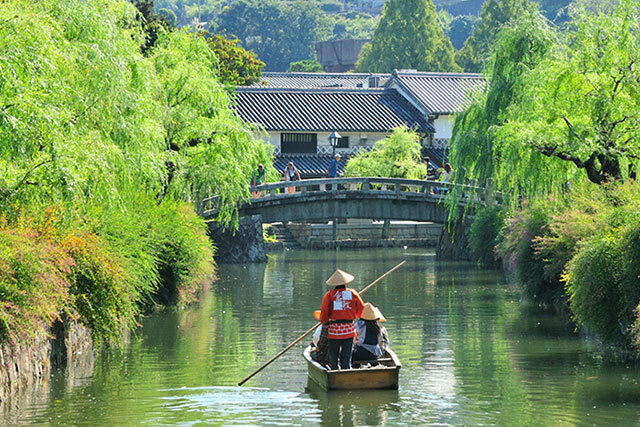 It is a popular area, with a long history, and the people are warm. 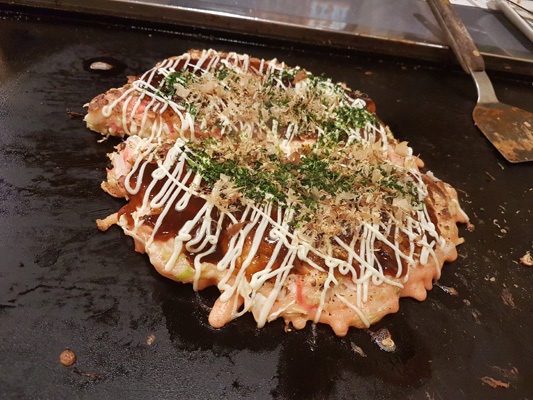 There are lots of shops open in the afternoon, and it's a good place to go to eat monjayaki (savory pancakes). It was fun trying the different flavors of monjayaki and wandering around. All the monjayaki I ordered were delicious, and the shop had a warm atmosphere. I really enjoyed spending part of my afternoon here! 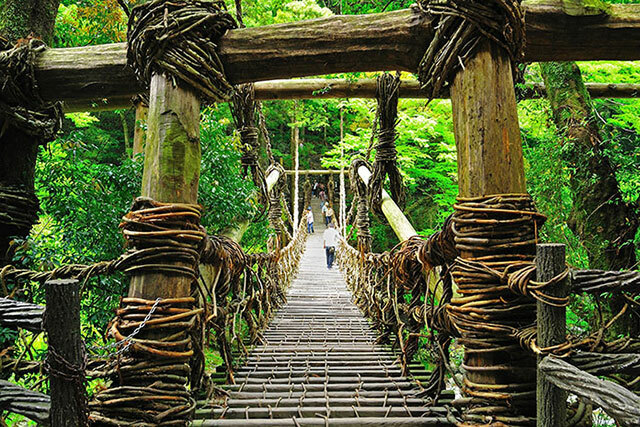 Tsukishima is an area constructed on a man-made island in the mouth of the Sumida River. 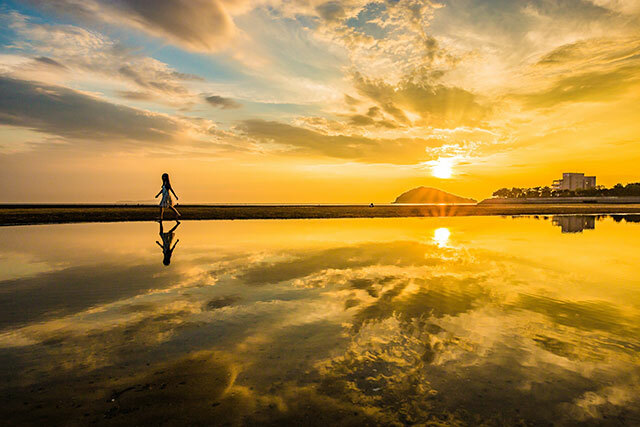 It is mainly residential, but Nishinaka-dori and the surrounding neighborhood is famous for its many eateries, mainly serving food such as monjayaki, and its beautiful picturesque scenery. 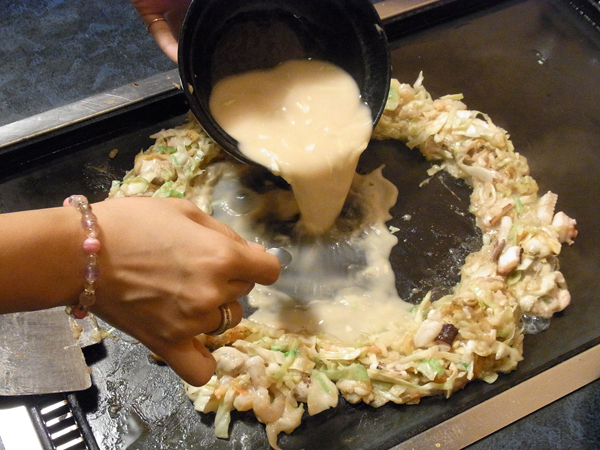 Monjayaki is shaped somewhere between a crepe and an omelet, and is made with a variety of ingredients (cabbage, soybeans, seafood, pork, etc.). Komachi Restaurant, on Nishinaka-dori in Tsukishima has, unlike other eateries on the road, very simplistic décor, making it similar to a canteen. Its monjayaki and other local dishes are delicious, the proof being that it is always full. Regular customers line up at the entrance of Komachi in order to eat there. The hotel I stayed in was located in a convenient place near the railway, close to the Giant Ghibli Clock designed by Hayao Miyazaki at the headquarters of Nippon Television. The hotel was elegant and the rooms were very comfortable. There was a wonderful bar with a pretty view. There was a lot of choice for breakfast, and I could choose the foods I liked. 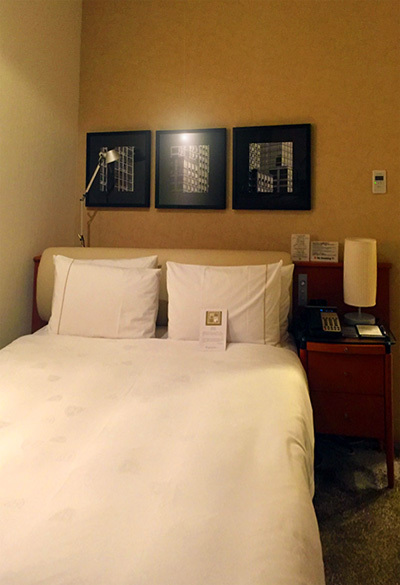 The Royal Park Shiodome Hotel is a four star hotel located in the heart of Tokyo along the Yamanote line. 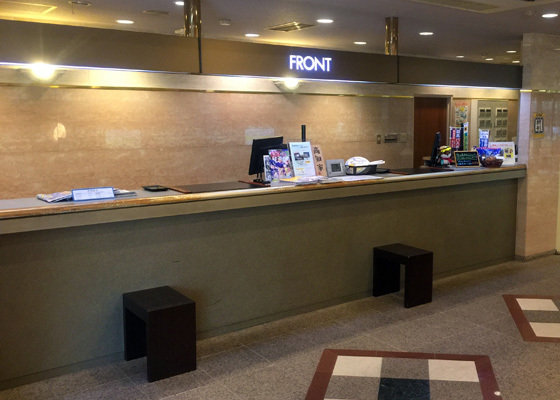 It has convenient access from Shimbashi Station, with an underground walkway that allows you to avoid rain, etc. The hotel bar is welcoming, with a warm atmosphere, and gives a beautiful view of the city at night. 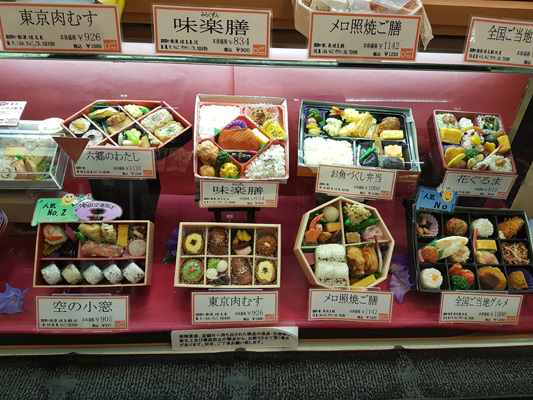 The custom when traveling in Japan is to buy a bento packed lunch. This time, I experienced a soraben as my first travel bento. The shop offered a wide variety of bento, and served me very quickly. 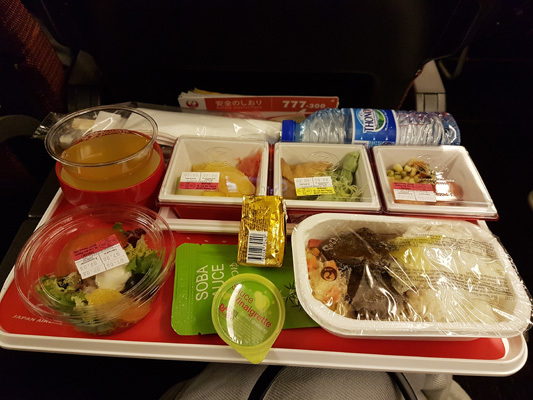 This was my first trip flying domestically on JAL, and the service was just as good as it is on international flights! It was a short flight, and I was offered drinks, a blanket, and headphones, and was able to travel comfortably. 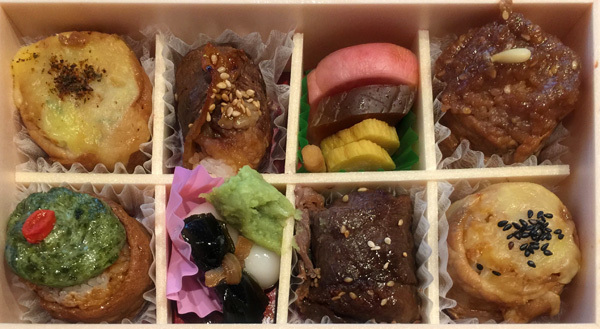 Soraben, a "bento eaten in the sky" is derived from the famous "ekiben" sold at stations throughout Japan. There is a wide variety of bento, and the ingredients in each change every time. Bento boxes have partitions, so they are easy to eat even when on a moving vehicle. My bento contained pork with different seasonings, which was very tasty. 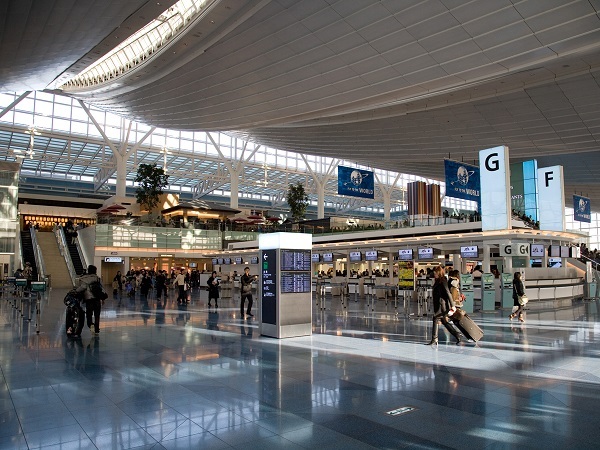 Haneda Airport is located in Tokyo Bay, and is reachable in a short time by monorail from Hamamatsu Station. 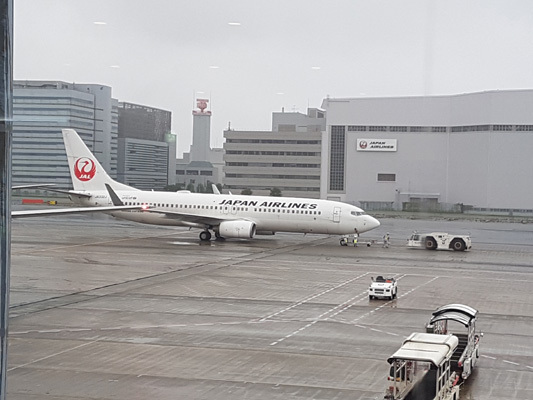 I must praise the way JAL's ground staff handled everything, because even on a busy weekend, boarding and safety procedures were carried out incredibly smoothly. 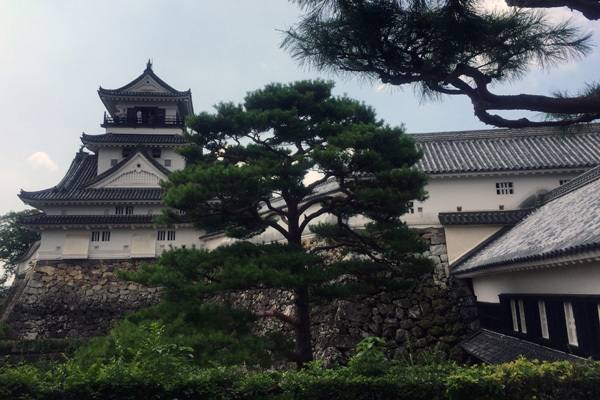 Kochi Castle is no less beautiful than Osaka Castle, and is well preserved. The museum there was modern and allowed me to learn about the history of Kochi and Japan. 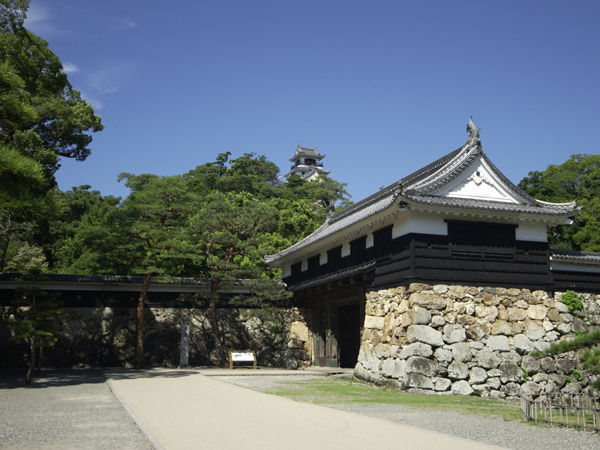 Kochi Castle retains its traditional construction, one of the 12 Japanese castles in existence to do so. There are many treasures stored and displayed in the new Museum of History, recently opened in 2017, located immediately next to the main gate. The museum offers the latest system for guiding visitors, which can be accessed on a tablet or smartphone. You can access explanations in several languages just by connecting to the museum Wi-Fi, and enjoy the contents of the exhibits. 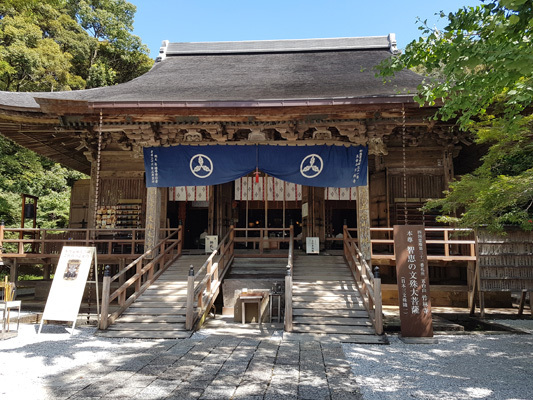 The museum has 67,000 historical sources in storage, relating to important people from the area such as Sakamoto Ryoma (a key figure in the Meiji Restoration in 1868), and the Tosa region and its daimyo (feudal lords). Visitors can enjoy different collections depending on when they visit. I have never eaten and walked around in such a busy, lively place as this. I loved the concept of buying food in a place I liked, and eating it at the table I wished to. I really enjoyed seeing the town during a festival! The local arcades overflowed with music and dancing, and I felt as if I had been transported into the world of a story. Watching the Yosakoi dancers performing with naruko clappers, at a famous festival in Japan, I was as excited as a child. I'd like to join in this festival again! I also went to a large, convenient shop that sold famous souvenirs and local products from Kochi. They had lots of different products, like T-shirts, food, and naruko, and I was lost as to which ones to buy. The izakaya I visited was frequented by the local people, and I had a delicious meal in its warm atmosphere. 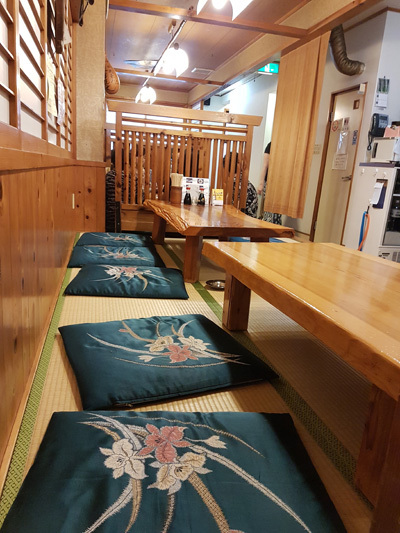 It was in the traditional Japanese style, and I was able to sit on the tatami mats. It was the best izakaya I have visited in Japan. 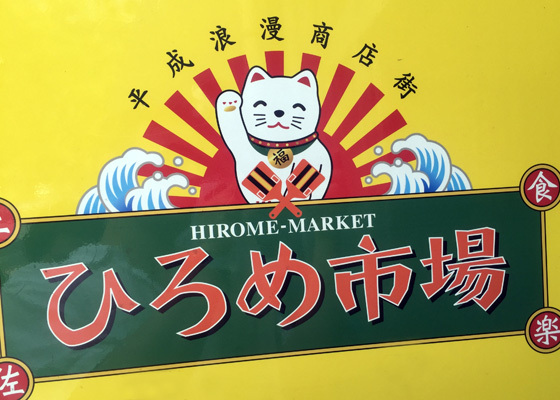 Hirome Market is a welcoming place with lots of delectable dishes from Kochi Prefecture. 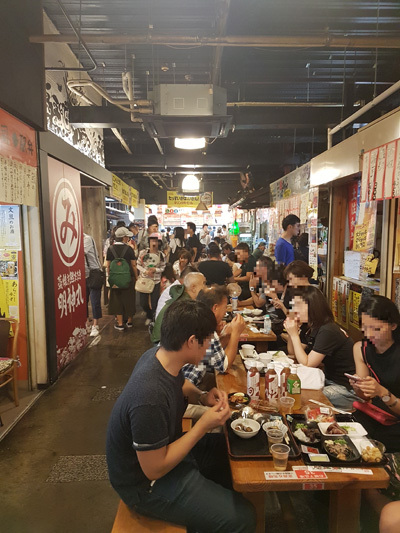 There are a variety of souvenirs available, and the most popular place is the central area where you can eat the food you just bought in the market. You really should try the sabazushi (mackerel sushi), katsuo no tataki (seared bonito), and the aosa nori (sea lettuce) tempura. 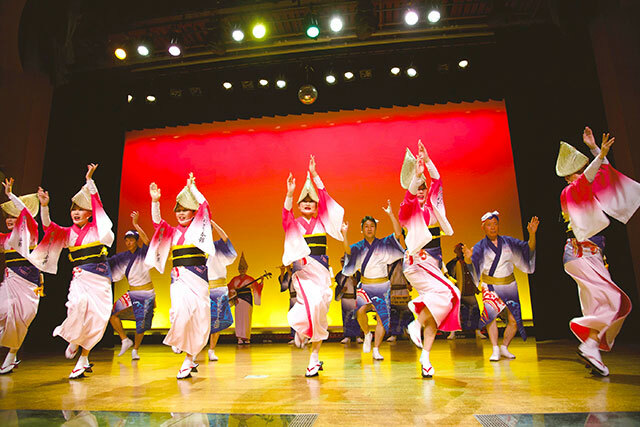 Yosakoi is a dance that originated in Kochi Prefecture. 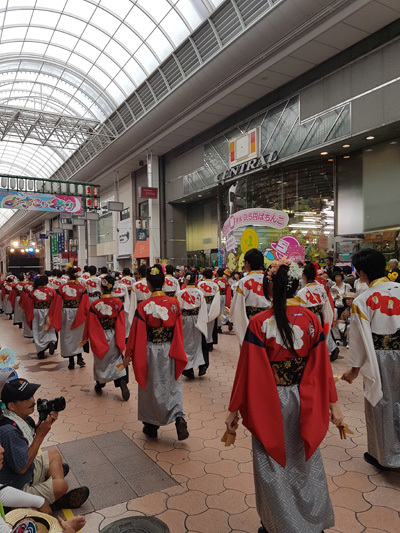 Each year, many groups participating in the Yosakoi gather in Kochi City in August. 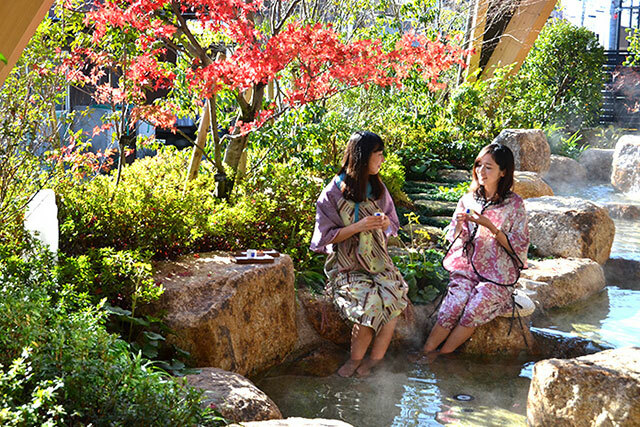 The Yosakoi singing echoes throughout the area from morning until evening, and the festival is held over four days. Of course, like any festival in Japan, there are lots of stalls selling takeout food like takoyaki (octopus dumplings). 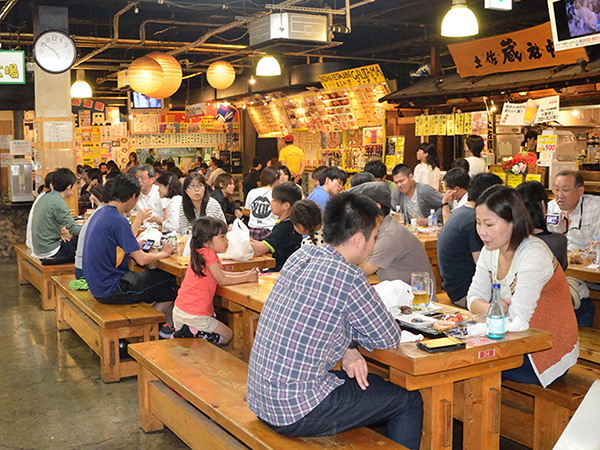 Tenkosu is a small market in the center of town, which gathers goods from each region of Kochi Prefecture. 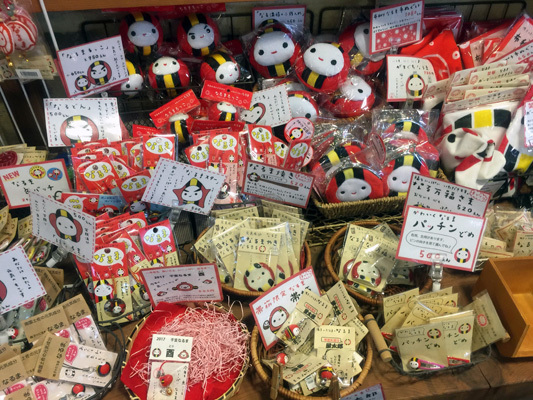 The stores sell souvenir items available at reasonable prices: cakes, preserves, fish delicacies, toys, and souvenirs related to the Yosakoi Festival, etc. 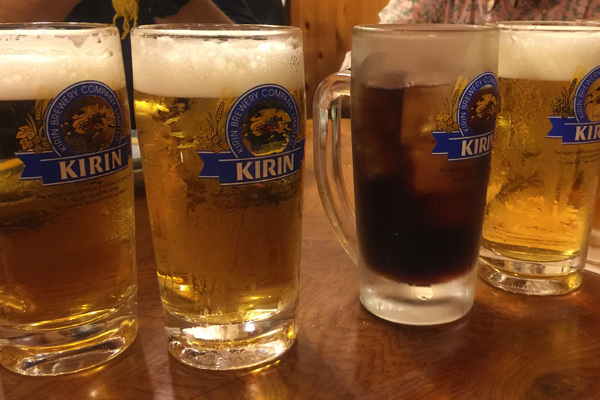 In order to refresh myself from the heat and humidity of August, I went to an izakaya (a Japanese bar), and I recommend it as the best way to relax after a busy day. 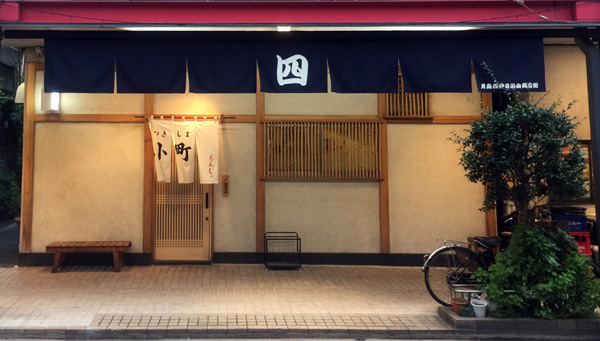 This izakaya, called Daikichi, is located in an arcade. As well as the normal food found in an izakaya (fries, appetizers etc. 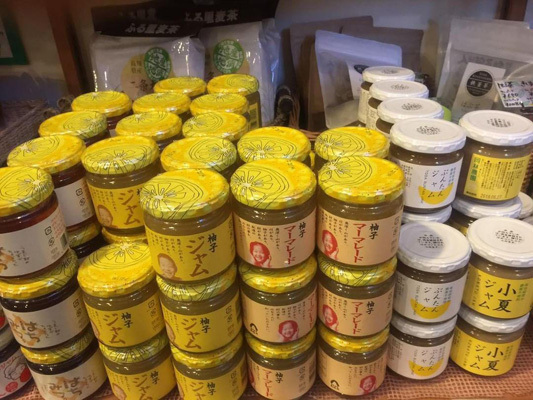 ), Daikichi offered a wide range of regional specialties, such as locally produced Japanese knotweed salad. The hotel I stayed in was conveniently located, with comfortably sized rooms. 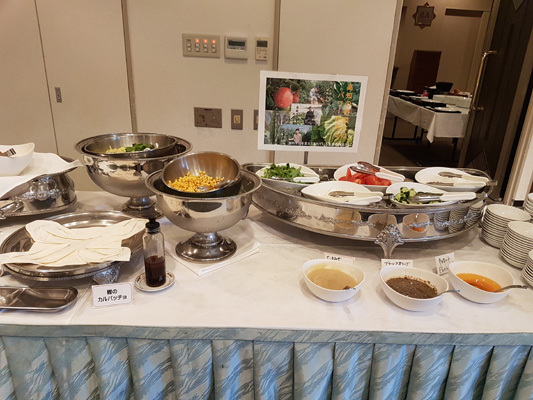 The breakfast I had in the dining room was especially good, and they provided a variety of dishes on several large tables. The Orient Hotel Kochi is what is called a "business hotel" in Japan. It is comfortable to spend time in the rooms, and the hotel has a convenient location. 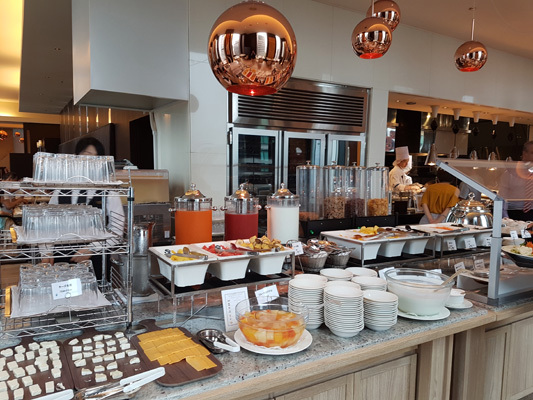 I recommend the buffet-style breakfast offered each morning at the hotel; it was delicious. On this trip, a monk courteously guided me around his temple, and this experience left a particular impression. 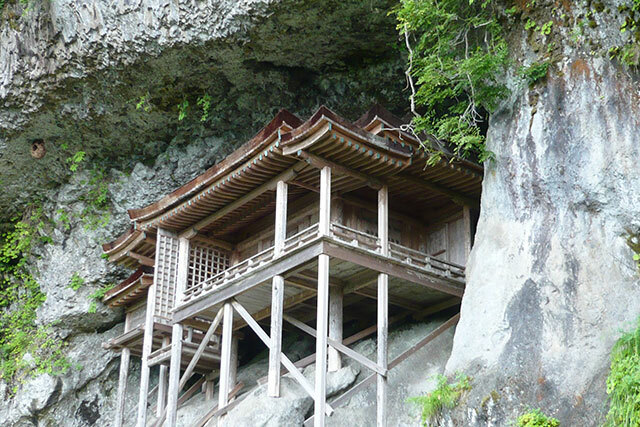 This temple was one of the important sites visited by people on the 88 Temple Pilgrimage around Shikoku. 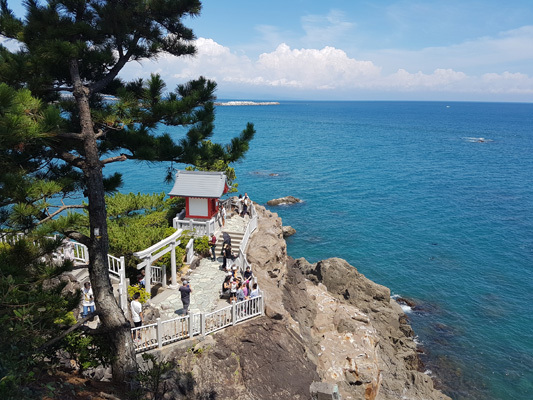 This small restaurant, overflowing with charm, had a magnificent view, and I was able to relax and take a break. It had original décor, and surrounded me in a peaceful atmosphere. Naturally, the food was also delicious! 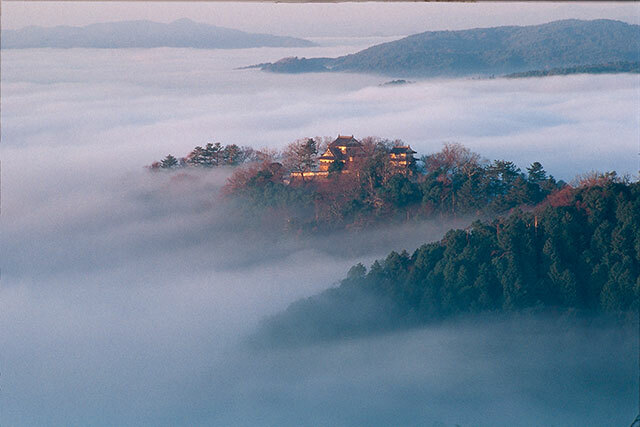 Chikurinji Temple is one of the oldest temples in the area. 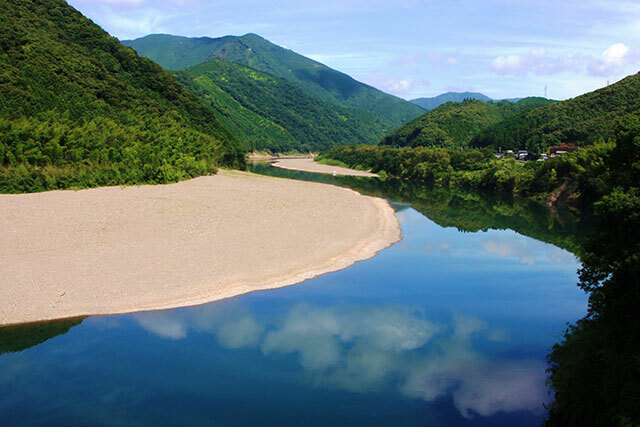 The name "Chikurin" is derived from a place in Buddhist legend. 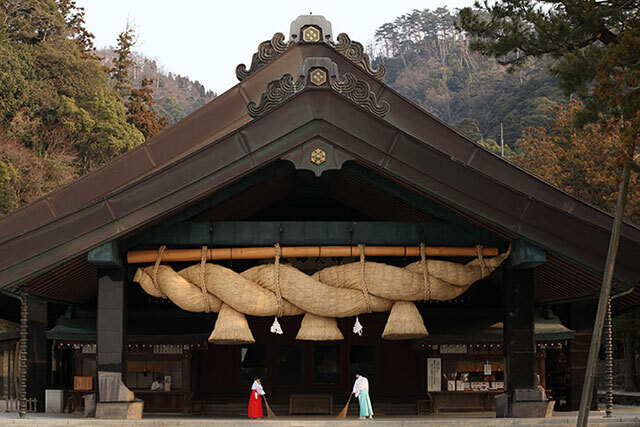 The temple is one of the 88 temples on the Shikoku Pilgrimage. 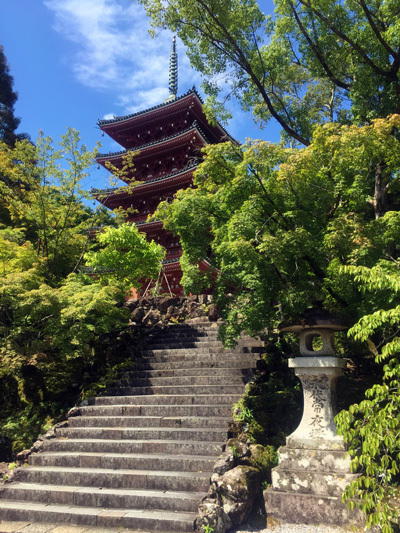 Interestingly, there are 88 small Buddhist altars scattered around the mountain for those who lack the physical strength to go round the 88 temples, and you can do a miniature pilgrimage walking around the mountain in a few hours. 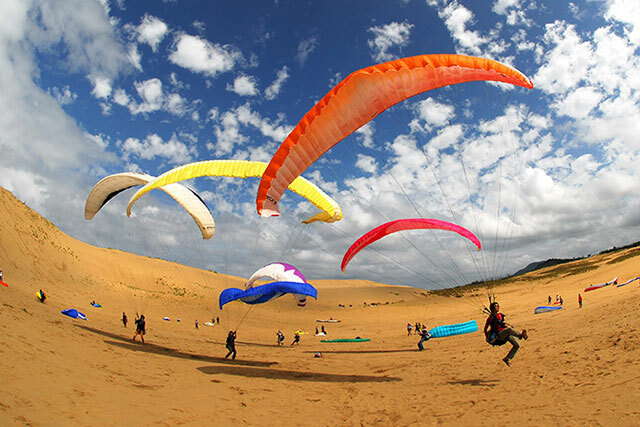 Panorama is a place located a few hundred meters from Chikurinji Temple, accessed via steps from the back of the temple. Panorama's cuisine is modern, and high quality. 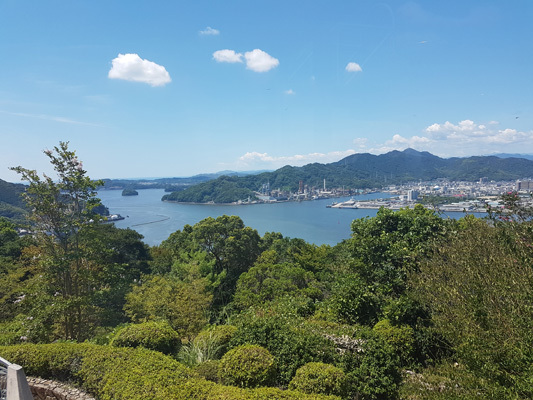 The greatest feature of this restaurant is its beautiful panoramic view of Kochi Bay. 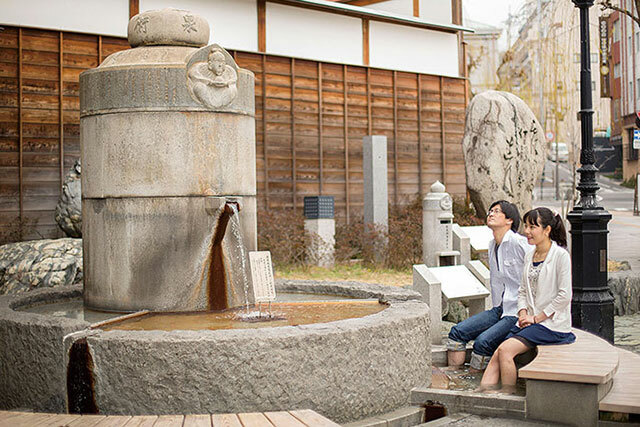 Even if you can't swim, you would probably enjoy time spent at Katsurahama. 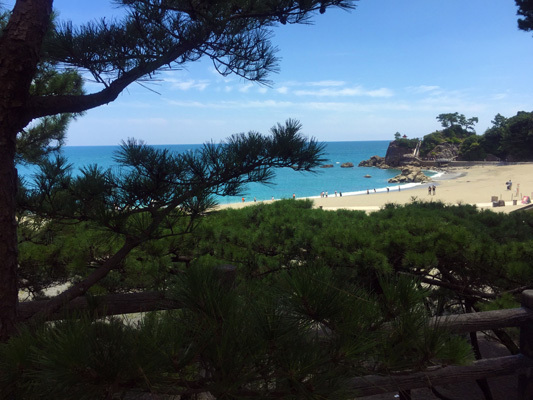 I arrived at a lovely temple that overlooked the sea after taking a comfortable stroll along the beach. 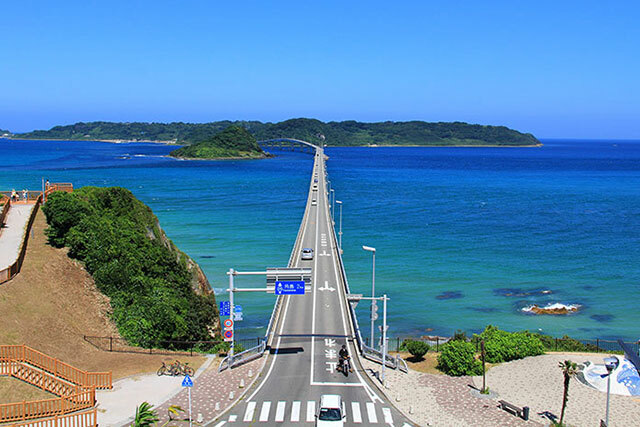 The simplest way to go to Katsurahama is take the MY-Yu Bus that departs from the center of Kochi City. International visitors can get tickets for half-price all day if they show their passport. 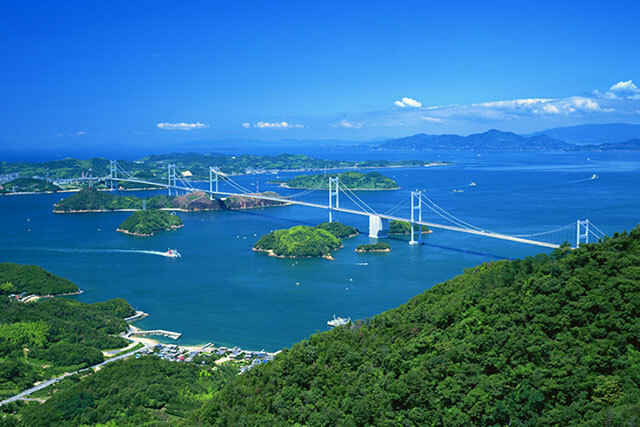 It's worth a visit to see the coast and scenery at Katsurahama. 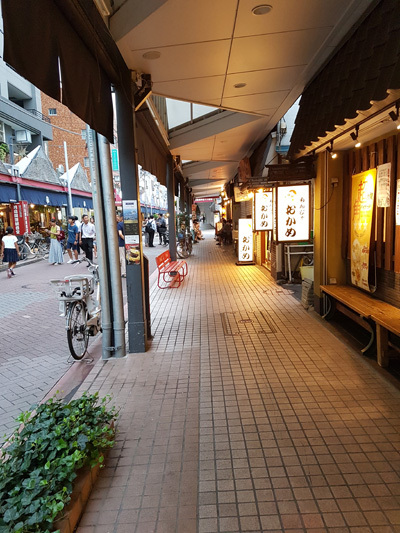 You can walk from one end of Katsurahama to the other. 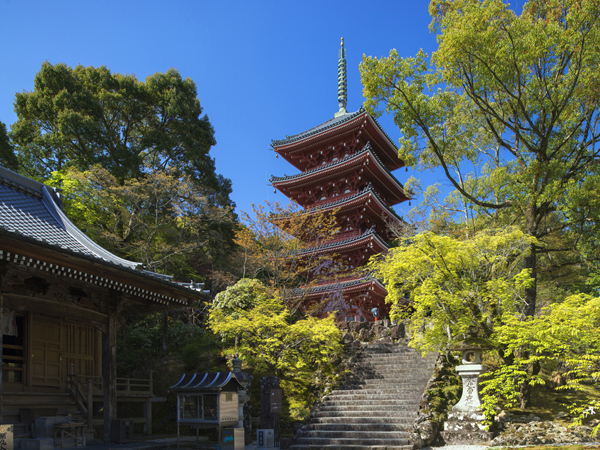 On one side is an eye-catching stone statue of Sakamoto Ryoma, a national hero. On the top of the cape on the other side is a small shrine. There are lots of souvenirs for sale at the entrance to the beach. 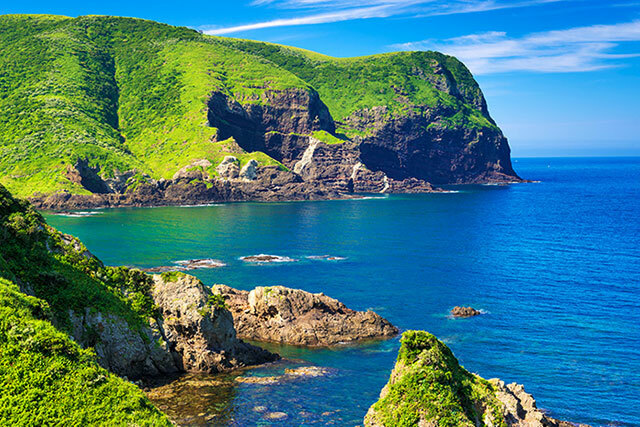 Goshiki ishi, colorful stones washed by the sea, and pearl necklaces and bracelets are the most popular. Unlike various other city airports like Narita airport, this one is very calm. 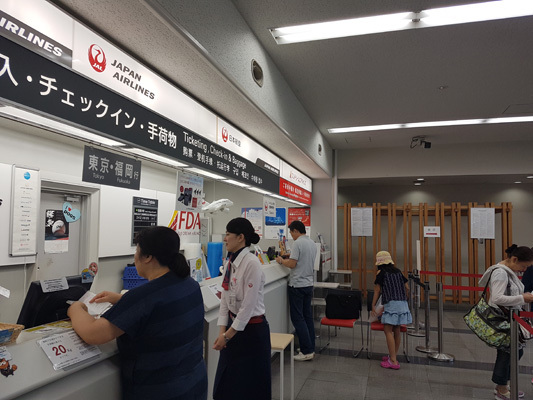 I finished checking in very quickly, and was able to buy souvenirs at the shops at the last moment. 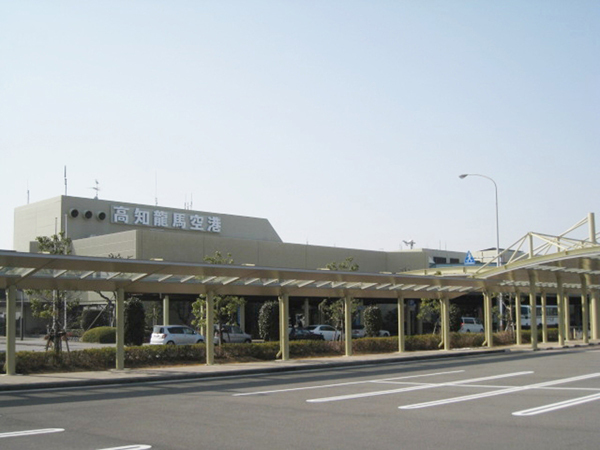 As Kochi Ryoma Airport is a short distance away from the center of the prefecture, buses are used to go to the town. 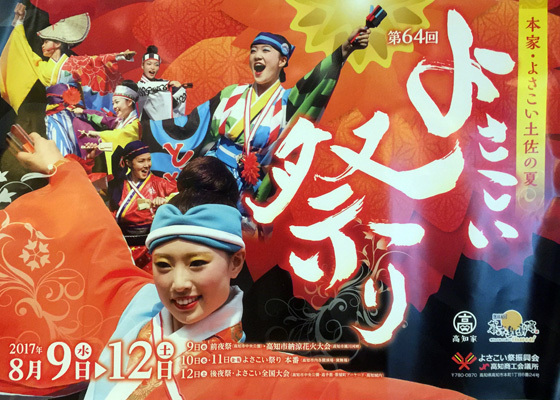 The airport holds different events depending on the season, and there are displays of pamphlets with information on local activities in different languages. Plus, you can borrow a free Wi-Fi router for the duration of your stay. 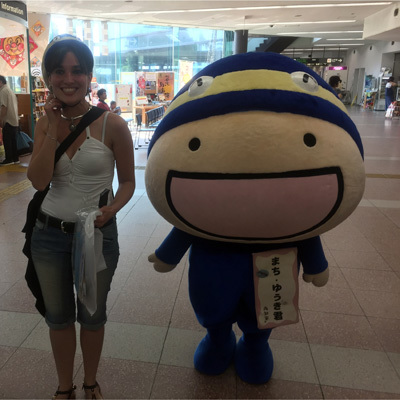 I visited both Tokyo and Kochi on my trip this time, and it was a really worthwhile experience. I already knew Tokyo well, but I discovered new places like the Edo-Tokyo Museum. I also really loved my trip to Kochi! 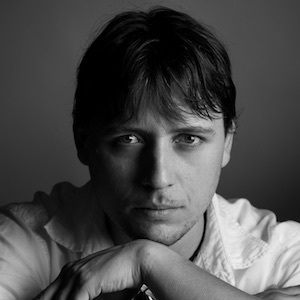 This program was well put together, with varied and interesting content. My travels this time were totally different to anything I’d done up until now. Up until this point I only understood basic Japanese, so I wasn't able to understand all of the information at many of the places I visited, but this time I had contact with local people, and that was a great chance for me. 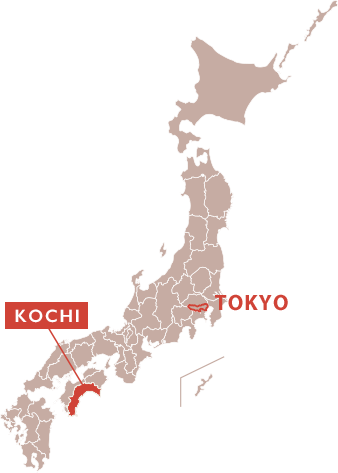 I was continually surprised by Kochi especially. 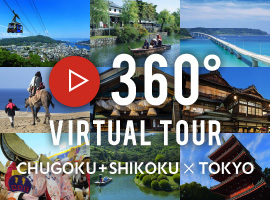 After a brief look at Tokyo, this program took me to Kochi Prefecture in Shikoku. 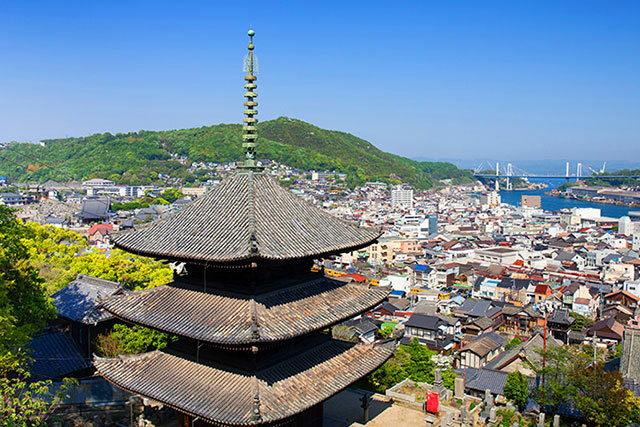 In the past, Kochi Prefecture was a feudal domain called Tosa, ruled by the powerful Yamauchi family of daimyo, and is rich in history and land. It has a lot of cultural heritage, and the local people have created a way of life and food culture different to that of the capital city. 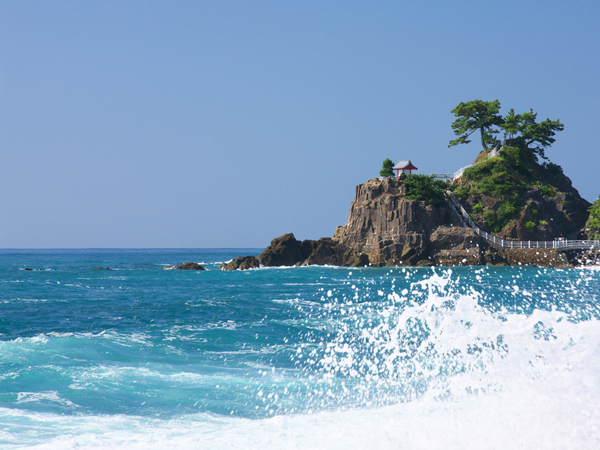 For those who love Japan, a visit to Kochi Prefecture means they can gain new experiences of a Japanese culture they were unaware of before.